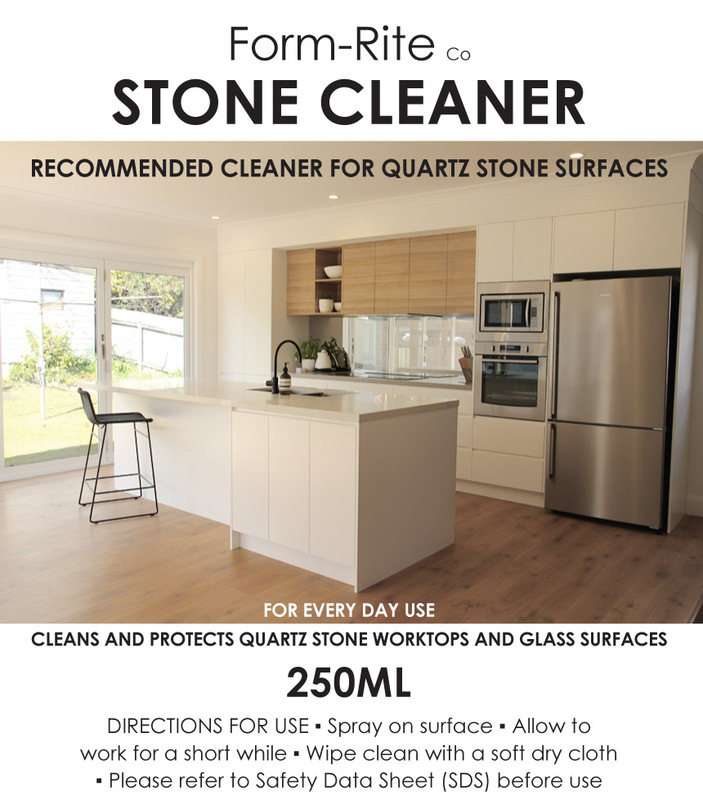 To maintain your stone worktop in perfect condition, Form-Rite has developed a customised Stone Cleaner. It’s simple to use… just spray on to the surface of your benchtop, allow to dry and wipe clean with a soft cloth. When using this product, please note the attached Safety Data Sheet.